For several months now, Sprite has been part of a small group of middle schoolers who meet monthly to read and edit each others’ essays. 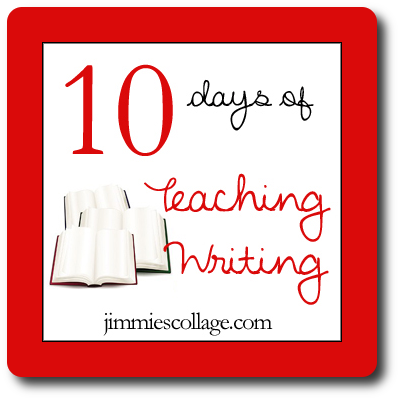 It has been a wonderful experience for me just because I have a passion for teaching writing. And it has been great for my only child to get a glimpse of how her writing compares to that of other children in her age range. For today’s post, I want you to hears the thoughts of the moms of the children in the group. I asked the them to give me some feedback about the advantages of having a peer editing group. This is what they said. The peer editing group gives them accountability. They have to have the paper done by a certain date. Also, knowing that their peers are going to be reading and editing their paper encourages them to write an even better paper. I think that kids will write a paper better for kids their own age than they would for a teacher, especially if the kids are going to be critiquing the paper. My daughter is competitive and having these classes where the papers are passed around and sometimes read aloud leads her to want to have the best paper. My kids loved getting feedback from another student and teacher (besides Mom). They also began to acknowledge that other people were saying the same things (both positive and negative) about their writing, confirming what they were hearing from me. 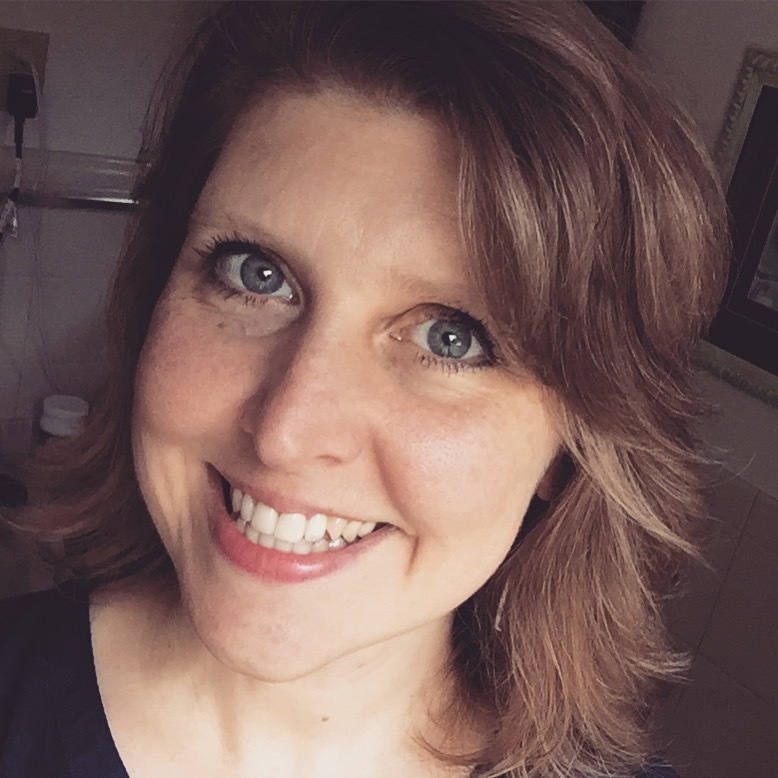 The biggest advantage has been that my kids see that they are not the only ones who struggle with parts of the writing process. My kids benefitted most from reading essays written by other students their age. It gave them a frame of reference for how they were doing, and it challenged them to remember that there was a real audience for what they were writing, not just an assignment for school. 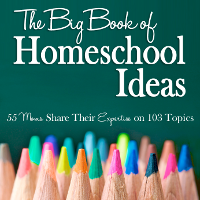 In the area of peer editing, we homeschoolers are generally at a disadvantage. A classroom teacher has abundant opportunities to read sample papers aloud and to let students see the work of others. Homeschoolers, except in the case of close aged siblings, have very few chances to read essays written by other students. 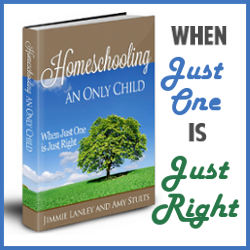 Even homeschool moms often wonder if their children are on track for their age in the area of writing ability. Organizing a peer editing workshop solves these deficiencies. 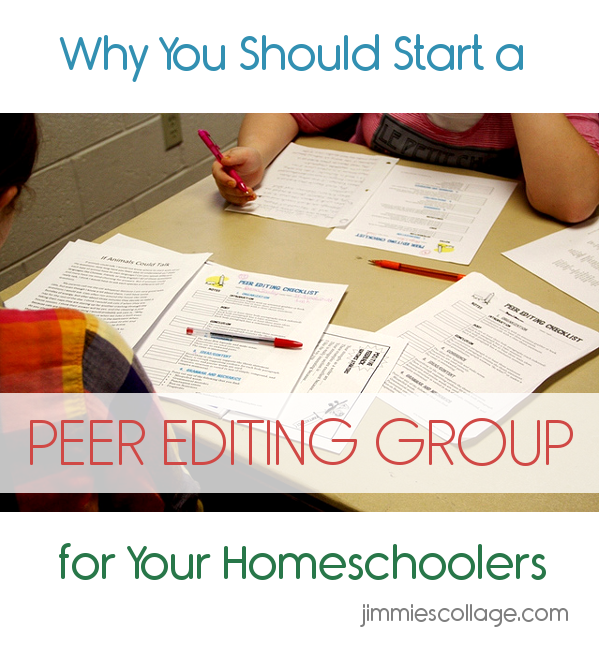 I encourage you to try a peer editing group with your homeschool support group or coop. 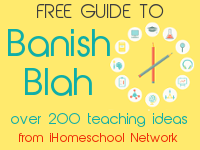 It reaps rich benefits for young writers and for homeschool moms. This is something that’s never occurred to me, Jimmie; but I certainly see the advantages! The accountability aspect would be a boon (though SHE wouldn’t see it that way!) to one of mine, especially.